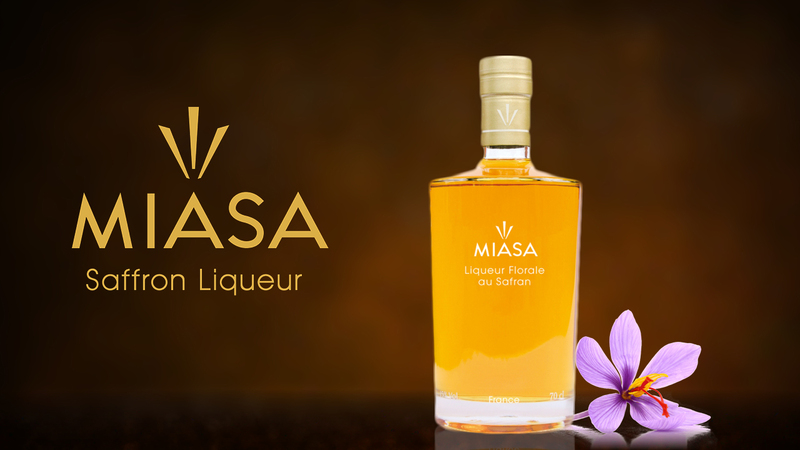 Miasa is the world's first premium saffron liqueur, hand bottled in Bordeaux, France. Saffron consists of the fine pistils of Crocus sativus, a crocus plant. Since time immemorial, it has always been linked to bright colours and luxury, earning it the pseudonym “red gold”. Saffron has been studied and put to use in a variety of applications throughout history. Whether as an ingredient of precious perfumes, a dye for select fabrics for special dishes, saffron was a royal symbol of wealth and power. Due to its sophisticated and highly versatile flavour, even in present day, saffron is especially valued as a sophisticated spice indispensable for fine cuisines all over the world. The excellence of Miasa saffron is created by the deep crimson hue of the saffron stigmas and its intense aroma - two of the most important criteria in ascertaining the quality of saffron. Miasa saffron prioritises and stands for the highest quality saffron in the world. Sourced primarily from the Khorasan region in northern Iran, along the historic Silk Road, as well as select producers in Italy, France, and other countries. The saffron used meets the highest quality standard of category 1 (DIN ISO 3632-2). Miasa has a luscious floral bouquet with touches of lychee and sweet elderflower with a subtle saffron nuance. With its French recipe, Miasa lends itself to being savoured over a glass of champagne to create a fully rounded flavour. It can also be enjoyed on the rocks, with gin and tonic, or coffee or Irish cream liqueurs.